'Something I Could Put a Name .. 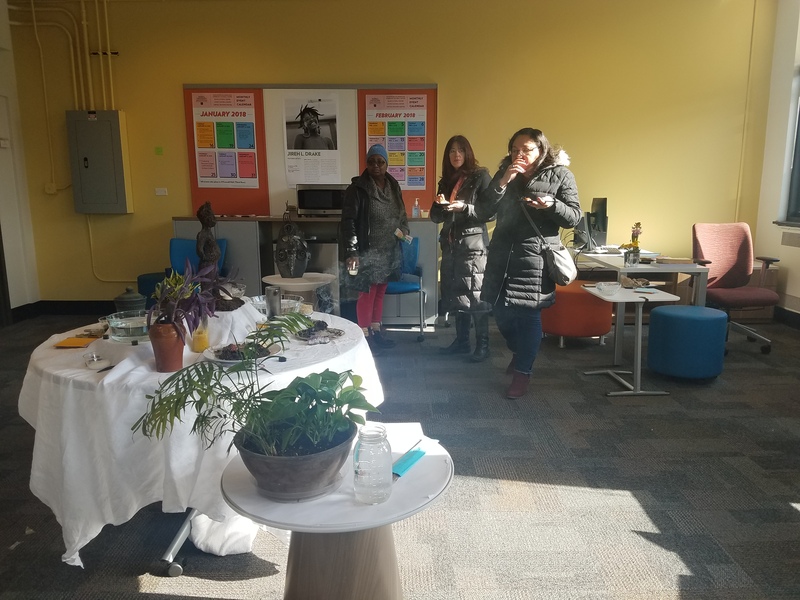 In a sunny third-floor corner of O’Connell Hall in Lincoln Park, Jireh L. Drake set up an altar: three bowls of water, a plate of dirt, some seeds, thyme, rosemary, salt, black beans and a dirt sculpture of a human being modeled after the Ere Ibeji sculpture made by the Yoruba people of Nigeria. 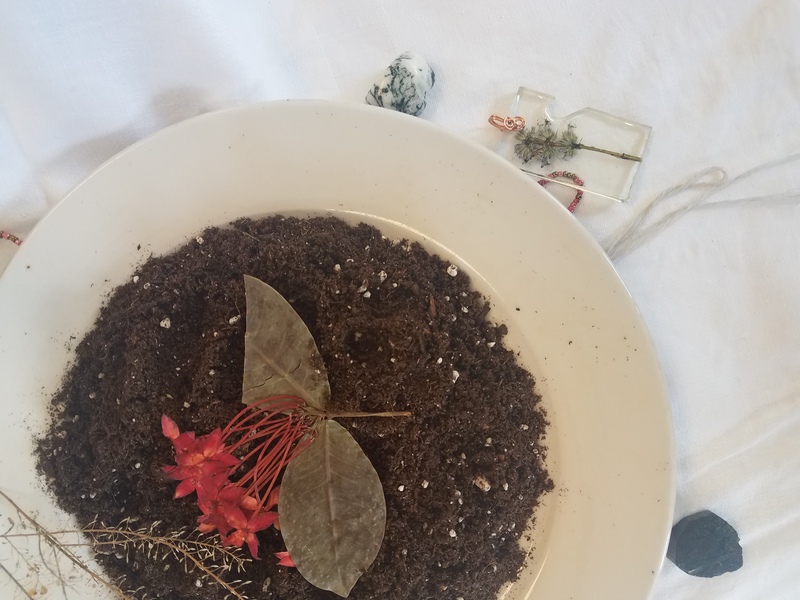 In the new Black Cultural Center, Drake asked the surrounding crowd to take the bits of food and create half circles around the edge of the table, and to charge the bowls of water with energies of “manifestation, protection and connection.” Those in attendance, students and faculty alike, were asked to write something down on a slip of paper or a bay leaf something they needed to let go of. Boomerang courtesy of Jireh L. Drake. For this performance, Drake had something specific in mind to let go. A 2017 DePaul graduate, Drake was a student employee of three and a half years in DePaul’s former Center for Identity, Inclusion and Social Change. The intersectional, social justice education center on campus shut down in August, with nothing to replace it but the promise of future centers — until now. On Thursday, January 25, sunlight streamed through open windows into the four new centers on the third floor of O’Connell Hall, as students and faculty roamed the spaces for their first-ever open house. 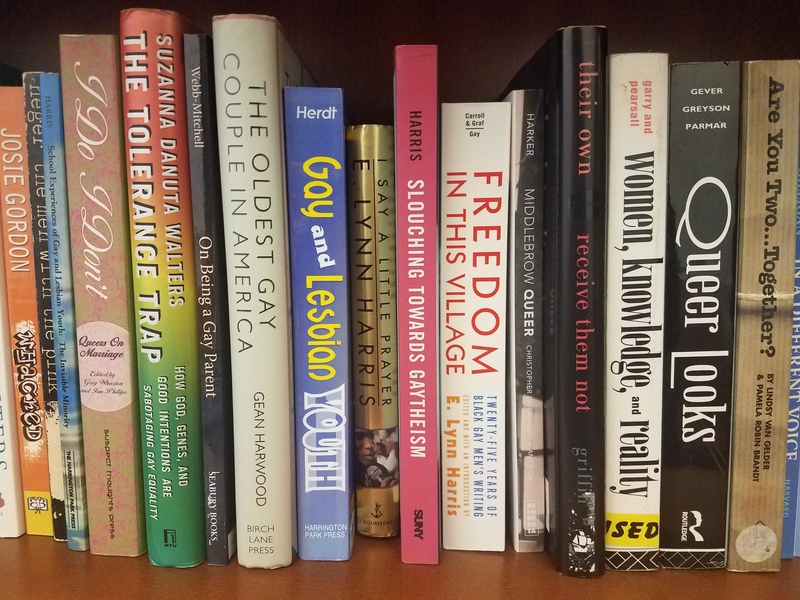 The LGBTQA+, Latinx, Black and Asian Pacific Islander Desi American cultural centers are now overseen by the Office of Multicultural Student Success (OMSS). 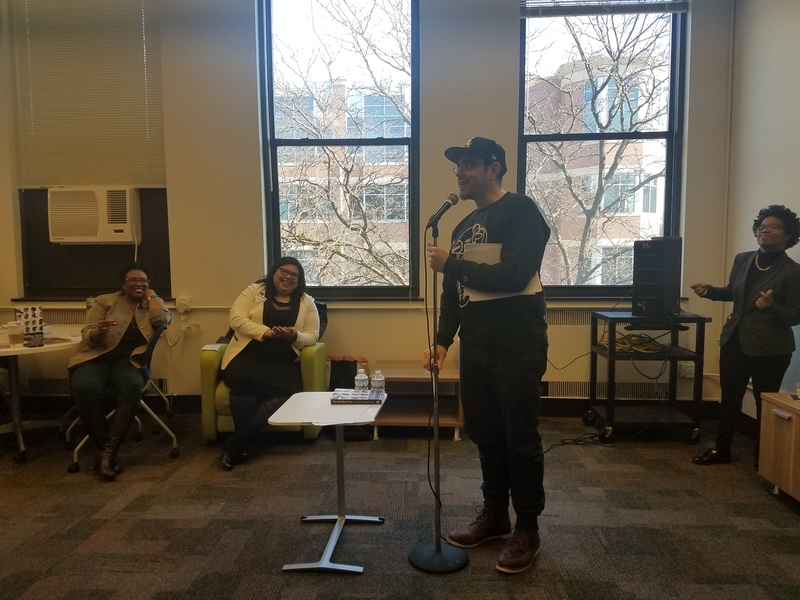 As a previous employee of The Center, Drake was invited back to perform at the open house alongside other celebrated local artists such as poet José Olivarez, visual artist Monica Trinidad and performance artist Patricia Nguyen. With their performance, Drake wanted to bless these new spaces (old converted classrooms) with fresh energy. Having worked in The Center, they understood the complicated history of tension between students and administration in the Division of Student Affairs, which began in May 2017; the announcement of the new centers came along with an ambiguous email about the future of The Center and employment for both student and professional staff. 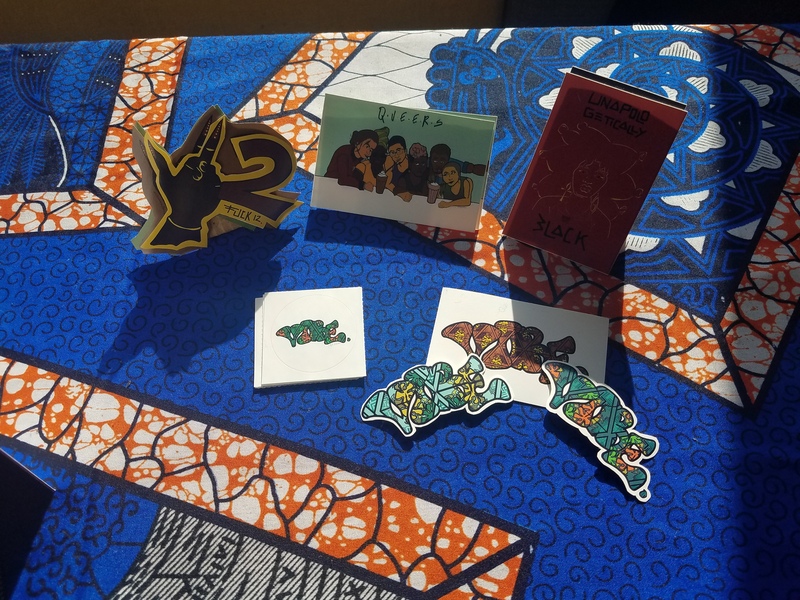 “Since The Center was closed and it was such an influential space for me, I decided to create an altar for the students who were there, students who go to DePaul and who will be in this space, to call in the energy they need,” Drake said. The following week, Drake would light the papers on fire, and then let the ashes go into the water, returning the crowd’s thoughts back to the earth — whatever thoughts they felt they needed to let go of. While Drake was honored to be asked back, they decided to model their performance around those feelings of tension, hoping to let students know that it’s all right for them to express their needs to university administration even if they shouldn’t have to. “To be honest, if I didn’t have The Center when I went to school, I really don’t know if I would have graduated college,” Drake said. They’re not the only one who feels so strongly about The Center’s presence on campus. While some previous employees have sought work elsewhere, some are employed within the new structure of cultural resource centers. Paige Gilberg, a sophomore, said she struggled during fall quarter with a lack of information about when the new centers would be opening. Now that the spaces are furnished and here, she’s focused on drawing people in and letting them know what the spaces can do for students — whether it’s events and workshops or even just a safe space to hang out on campus, without feeling racially profiled or targeted. Photos: Megan Stringer, 14 East. In particular, Gilberg wanted to see freshmen students at last week’s open house. “I’m sure if they toured last year and saw The Center, and then they got to campus and were like, ‘Where’s The Center?,’ that probably would have been a big shock and kind of disorienting,” she said. While there were certainly students present at the open house, there was also a large turnout from staff and faculty — something Gilberg was surprised to see. 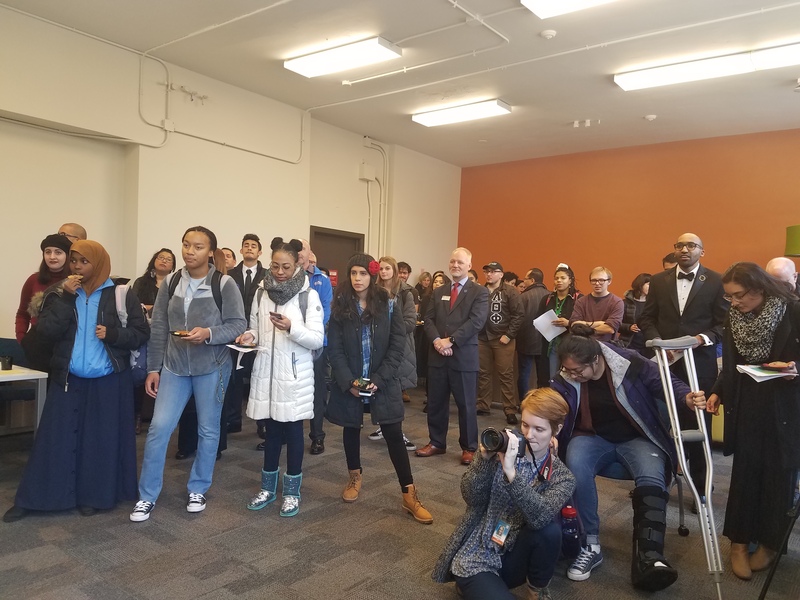 “While I had hoped for more students, my hope is that these older members of the DePaul community will be able to pass on the message that the spaces are open and that they will be great resources for students,” Gilberg said. Photo: Megan Stringer, 14 East. Since their opening last week, there’s been a steady flow of traffic in and out of the new spaces, according to Gilberg. She’s been working front desks, rotating shifts between different centers in separate classrooms. 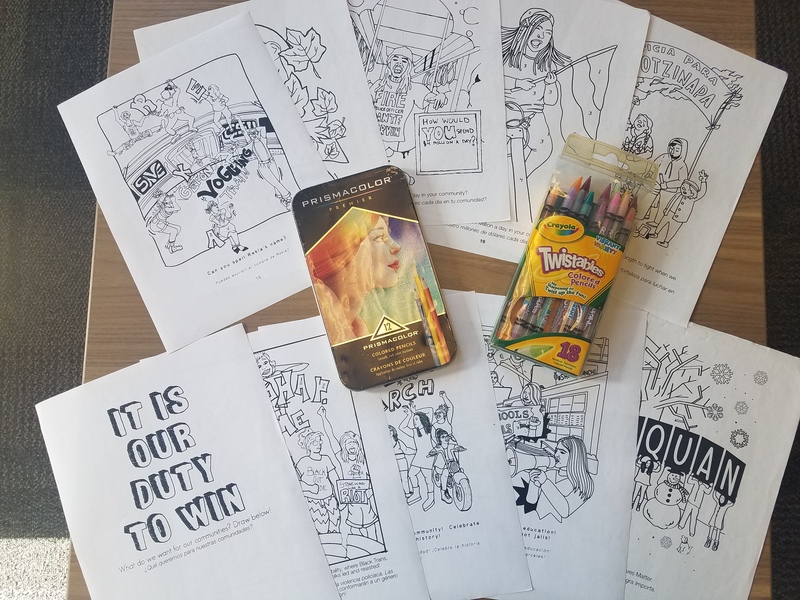 In the face of physical separation between these cultural centers, a majority of both student and professional staff have expressed their commitment to the intersectionality that the former Center upheld. “Despite there being four separate centers now, we are all still one community and are determined to maintain intersectionality despite the physical separations,” Gilberg said. Also striving for that intersectionality is Michael Riley, current LGBTQA+ Resource Center coordinator and former workshop coordinator of The Center. Having student desk receptionists rotate among each center is just one way to ensure the spaces communicate with each other and don’t feel like separate entities. The centers also have an intersectional programming coordinator, Johnny LaSalle, to oversee events and workshops for all the spaces together. 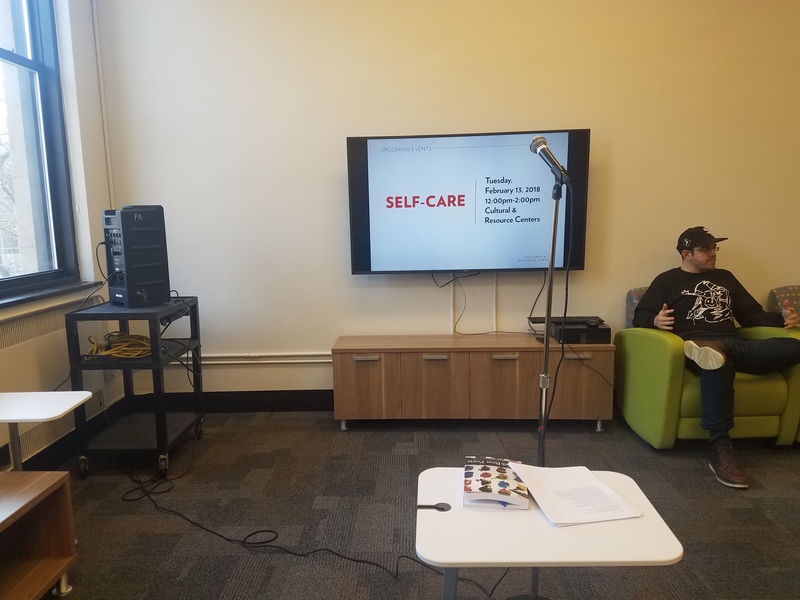 LaSalle is the former programming coordinator at The Center, and the new centers now have calendar events posted through the month of February. 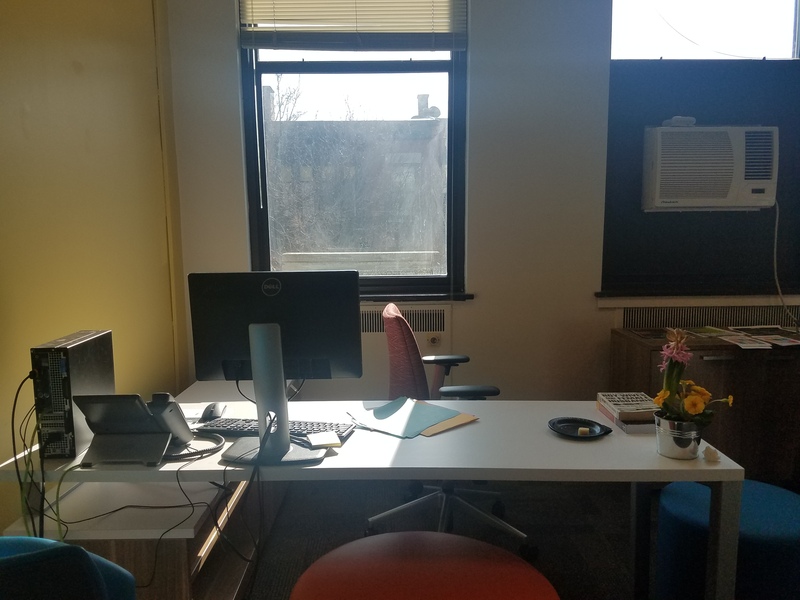 In training sessions for the new desk position, Gilberg said Riley wanted to allow space for everyone to reflect on the past fall quarter without the old Center or new ones. 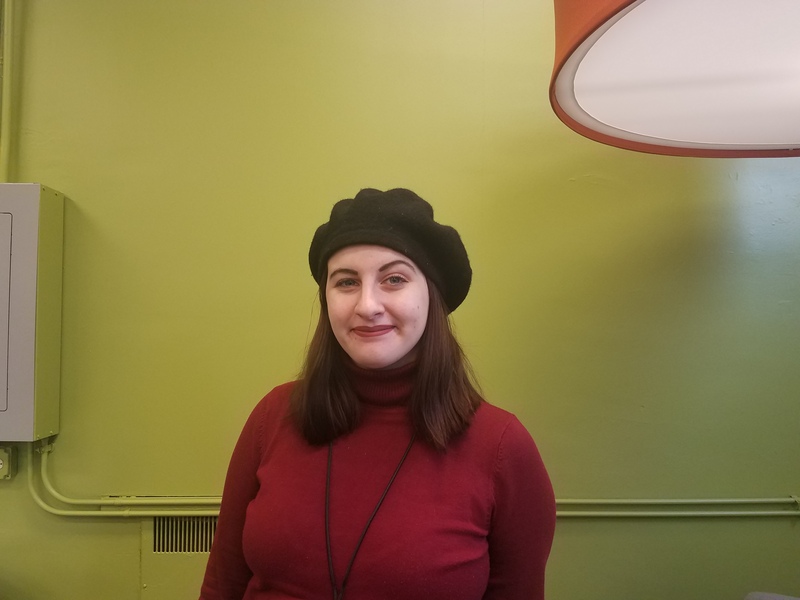 Many were nervous about their future employment — the desk receptionist position is a paid job — or how they were going to reconnect with campus life after an alienating quarter away. This was especially important for Gilberg, she said, as it’s her first year living off campus. 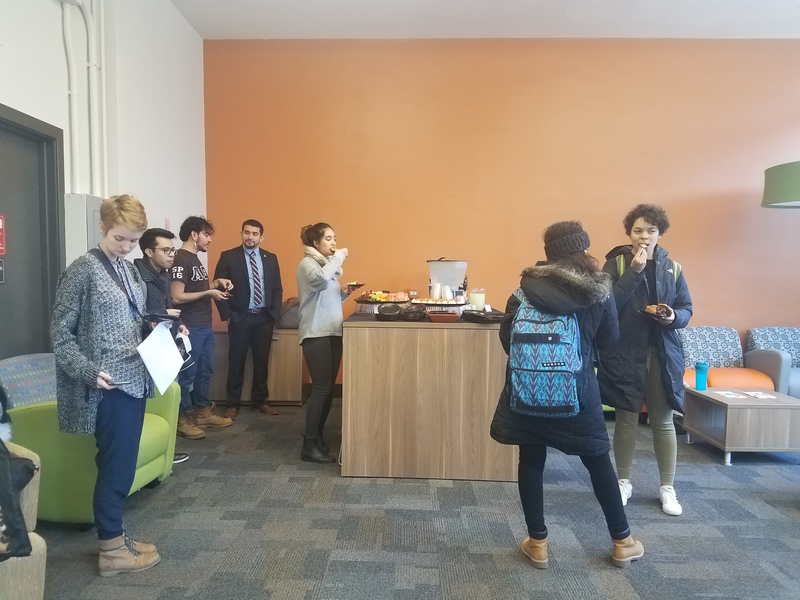 As winter quarter pushes past week five and the new cultural resource centers have their doors officially opened in O’Connell, student employees are hoping to see more and more new faces.